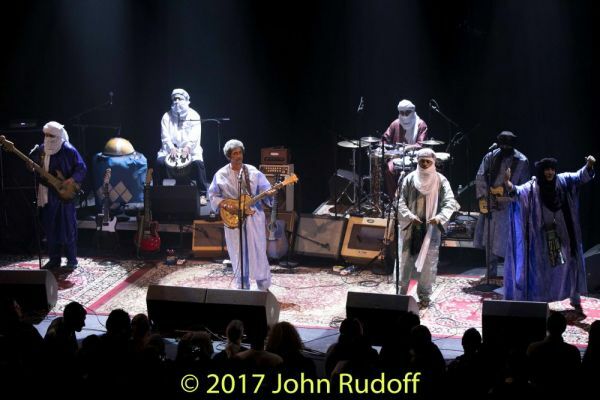 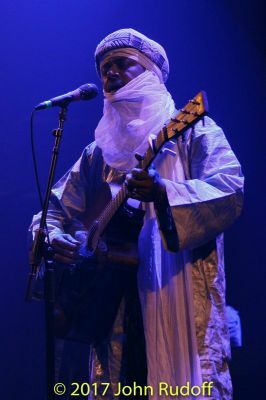 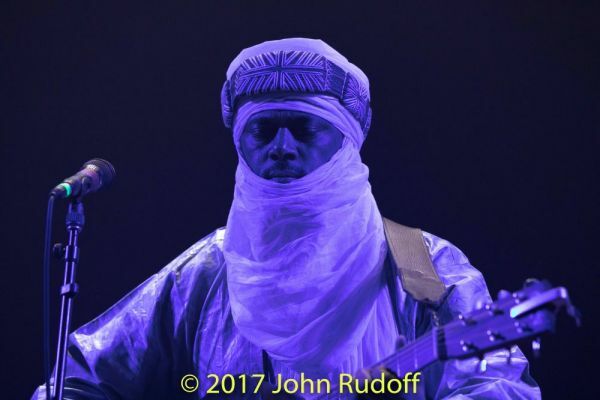 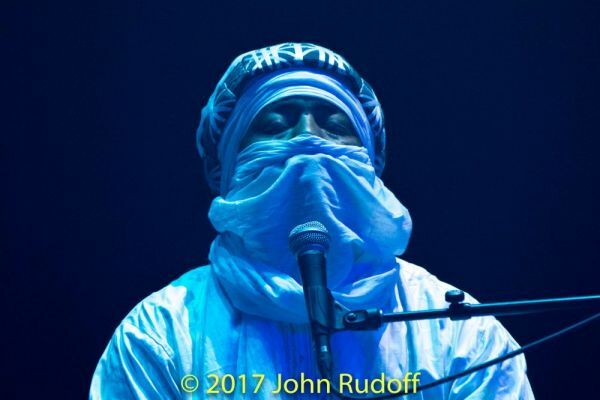 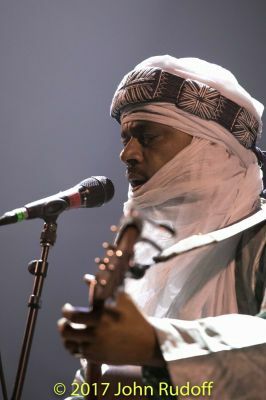 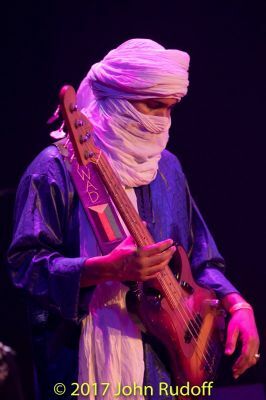 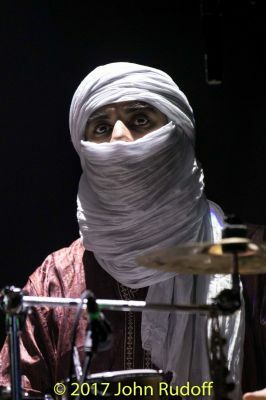 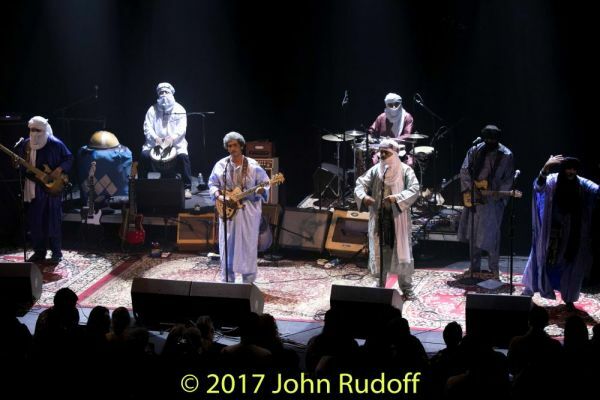 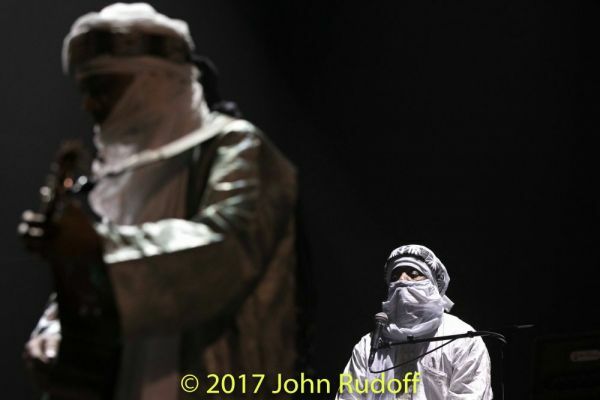 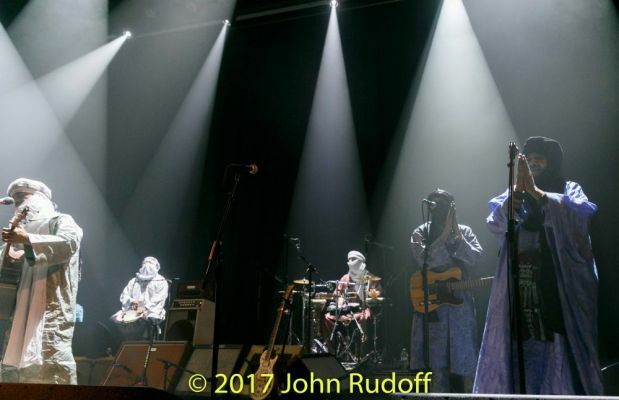 Tinariwen was the second of two performers, after Dengue Fever. 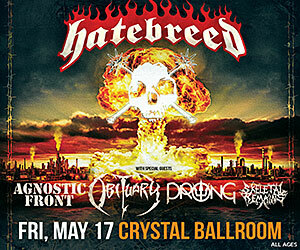 Revolution Hall was sold out to the rafters, and an additional show was added. 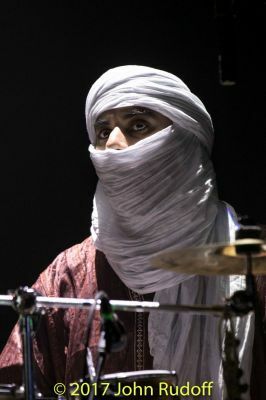 The lighting was spectacular and added to the mood of the show.